IX Web Hosting focuses on providing shared hosting and WordPress hosting with SEO tools to help you rank higher in the search engines. They use their own data centers and offer premium security for your files. IX Web Hosting was pretty popular back in 2007. IX Web Hosting has a few features that separate them from the rest. 1) Free 7-Day Trial: The benefits of using IX Web Hosting is laid out clearly on their website, but if you need more convincing, you can try out their Linux-based plan for free, for 7 days. You do have to enter your payment information, but you’re free to cancel after 7 days if you don’t like what they offer. This is fairly unusual, as most hosting companies would rather offer you a refund. However, IX Web hosting also offers 2 different money back guarantees as well. One is a 30 day guarantees where you can get a refund of domain and set up fees. The other is what they term an “Anytime” guarantees. This states that you can request a refund of future month’s fees although not any from the current billing cycle. 2) Dedicated Security: Although all web hosting companies should do this, IX Web Hosting is one of the few that actually spells out the lengths they go to protect your website. Security is a top concern for them so they have a few things in place to protect their customers such as spam filtering, dedicated malware team, and on-staff developers to name a few. They also offer SiteLock for a small fee. This only covers one domain but you get piece of mind knowing you are protected from identity theft, fraud, spyware, and viruses. 3) Own Data Center: IX Web Hosting owns their data center, rather than outsourcing it. There are several advantages for a hosting company to own their data center rather than outsourcing it. The company itself can monitor their servers 24/7 so they stay up and stay fast. If there are any problems, they can be tended to right away. Or if there is a power outage they got you covered with not one but two backup generators. They can also design their network and everything else to fit their needs. This is also why they are very confident offering their 99.9% uptime guarantee. IX Web Hosting offers something pretty unique when it comes to web hosting support. Every customer is assigned an individual customer service rep, allowing you to work with the same representative each time you have a request. One of the better hosting companies out there in the customer support category. There are several reviews for IX Web Hosting available. What we found was that customers wrote positively about their Linux systems and features. 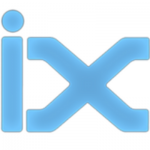 We found several negative reviews for IX Web Hosting as well. Most of the customer complaints seem to stem from downtime and misinformation about disk space limits. 1) Around-the-Clock Support: Whether through phone, email, or chat, they’re available 24/7 to answer any questions or resolve issues. They also have an extensive knowledge base and tutorials to get you started before you request support. 2) No Colocation: Having their own data center means eyes and hands to monitor servers at all times and address problems as they arise. 3) Good Introductory Prices: IX Web Hosting offers fair introductory prices for their shared hosting plans, ranging from $3.95 to $7.95 per month. Their regular prices are double their promotional prices, which are still competitive. 4) Cloud Hosting: IX Web Hosting, in addition to VPS, offers cloud hosting so you can take any IT headaches out of your workflow. 5) Uptime Guarantee: IX Web Hosting offers 99.9% uptime guarantee. This isn’t a vague claim, as it’s spelled out in various places on their website. 6) Webstat Tools: IX gives you free access to different statistics like traffic to see how many visitors come to your site. 1) Messy Website: IX Web Hosting’s website takes a bit of time to navigate. When you go to their web hosting page, you’re presented with 3 options, it’s hard to determine which one is their most expensive plan. Unlimited Pro and Business Plus plans are also priced the same, with very little difference. 2) Site Builder: IX Web Hosting supposedly includes a free site builder, but it’s also included as an “add-on” for $5/month extra. This causes more confusion. 3) H-Sphere Control Panel: Shared hosting plans only offer H-Sphere control panel, rather than the more popular and beloved cPanel. VPS and Cloud hosting customers get to choose between cPanel and Plesk. IX Web Hosting offers all the standard features you would expect in a decent web hosting company: great support, low introductory prices, and guaranteed uptime due to owning their data center. Their shared hosting plans should take care of most of your website needs, but if you outgrow them, you have the option to upgrade to VPS plans. They also offer cloud hosting, which is quickly becoming a favorite solution among many companies. Their main drawbacks are their difficult to navigate website, confusing pricing structure, data limit soft cap, and also H-Sphere control panel for shared plans that is less user-friendly than cPanel.